Pyrgus communis or albescens (Checkered Skipper). Size: approx. 30 mm. Photo: 08/21/11, 6 pm. When I took this photo, this fickle flyer looked like a moth to me. 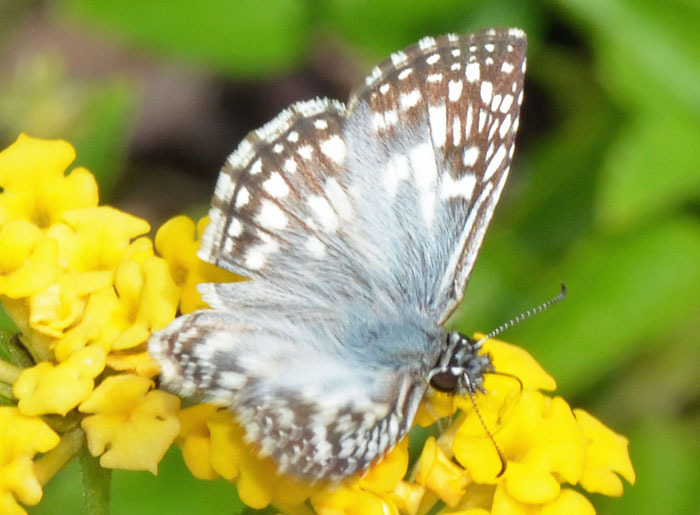 However, it is a Checkered Skipper (Pyrgus communis or albescens). The two species are nearly indistinguishable. In the US, P. communis is a permenant resident south of the 40th parallel. Adults feed on the nectar of white-flowered composites (Asteraceae). 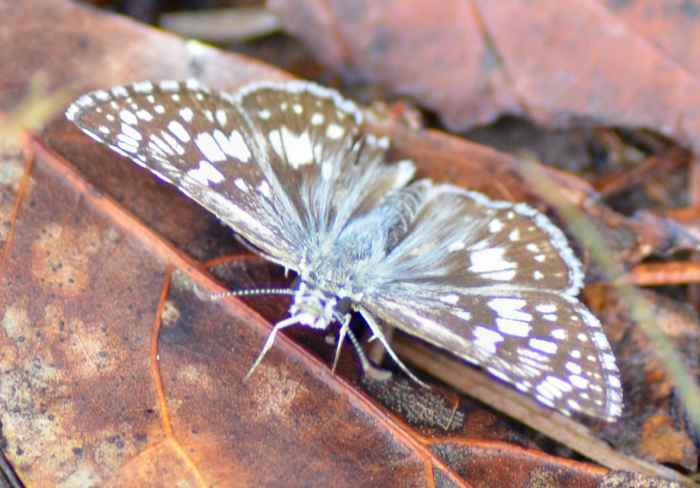 Pyrgus oileus (Tropical Checkered Skipper). This Tropical Checkered Skipper (Pyrgus oileus) is quite similar to the Checkered Skippers P. communis and albescens (see above). However, it has a blurred wing pattern and a white spot just beyond the cell-end. Also, the white bar is present and enlarged. See the second link for a side by side comparison.